It seems that every time we make a promise to ourselves to get back in shape, it always ends the same way; a never ending list of excuses as to why it can’t happen. We’re too busy, our family is in town, our cat is dying, you name it. We’ve used them all. We’ve discovered an app that makes going to the gym seem less like a chore and more like, let’s say, a job? 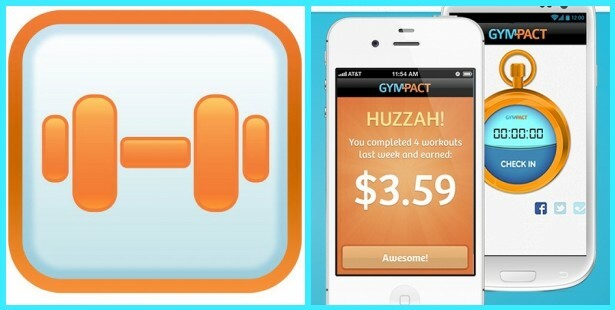 GymPact is an app that holds you financially responsible for your physical activity (or lack thereof). So how exactly does it work? First, you begin by deciding your “workout-per-week” goal. This simply means how many times per week you want to engage in serious physical activity. Secondly, users identify exactly how much money a missed workout means to them. Finally, all that’s left to do is hit the gym! For every day of missed activity, your credit card gets charged the amount you specified. But, for every day you do go, you get a share of the money that was collected from those who couldn’t stick to their “GymPact.” Yes, you read that correctly. You make money simply by doing something you should already be doing in the first place. This app eliminates the ability to miss a workout due to lame excuses. What do you think of GymPact? Do you think it would help motivate you to get back into shape? Let us know in the comments below or on Facebook and Twitter!